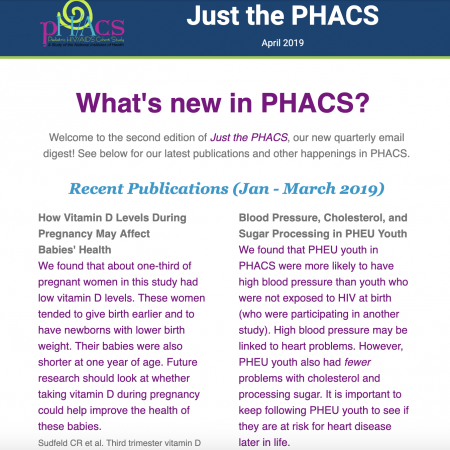 See below for all issues of Just the PHACS, our Quarterly Email Digest highlighting recent publications and other PHACS news. Not subscribed to our digest? Click here to sign up to receive future emails.